Buying a new TV can be confusing. There is a large number of screen sizes, resolutions on the market. With Ultra High Definition TV such as 4K and 8K becoming more widespread, it is easy to think that higher resolution means better quality. But is this really the case? This infographic by Kagoo shows how screen size, resolution and viewing distance are connected. If you move close enough to the screen you will start to see the individual pixels. As you move further back, the image will become sharper until you have reached the optimum viewing distance. As you continue to move back even further, you won’t notice any improvement of the image quality because you have reached the limit how much detail the human eye can see. The diagram below shows the optimum viewing distances for the most common screen resolutions: 480p, 720p, 1080p Full HD and 4K Ultra High Resolution displays. It might be surprising to see that 1080p is actually sufficient for most living rooms and 4K UHD only provides an improvement of picture quality if you are looking for a particularly large screen (usually above 60 inches) or want to sit especially close to the TV to create a cinema-like experience. For example, say you want to work out the optimum viewing distance for a 50-inch TV. Move along the horizontal axis of the diagram until you reach 50”. Then move along until the vertical line representing 50” intersects with the line representing 1080p Full HD optimum viewing distance. You can now find the value of the recommended viewing distance on the vertical axis. In this case the optimum viewing distance is just over 6 feet away. If you move down vertically, you are increasing the viewing distance. This means, the perceived image quality will no longer improve. At some point you will come to the intersection of the 55” vertical gridline with the line representing 720p optimum viewing distance. This means you are now far enough away from the TV that spending money on a high-resolution screen is unnecessary and you could go for a screen with 720p screen resolution without noticing any decrease in image quality. Moving up the axis will show you that you would have to sit as close a 3 feet away from the screen to make the most of a 4K Ultra HD TV. Another way to select the right screen size for you is to decide on the viewing experience you are looking for. 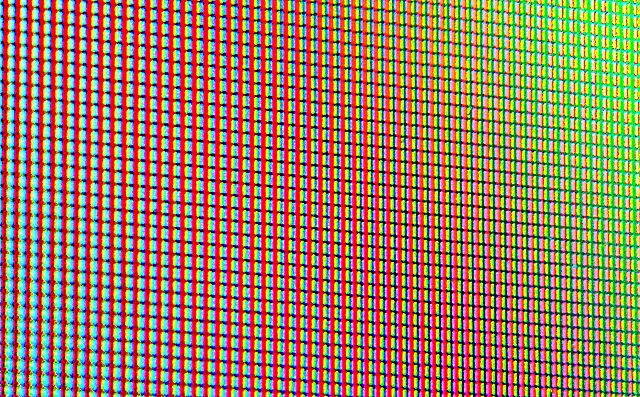 The important factor here is how much of your field of vision your TV screen fills, i.e. how ‘immersive’ your viewing experience is. In most cases a viewing angle of 30 degrees or even less provides a good viewing experience. If you prefer a more cinema-like experience, you could move closer to your TV until the screen covers a viewing angle of 40 degrees, this is also what THX recommend. The diagram also shows these two viewing angles as dotted lines.